so I order a back up one for all my guitars. Gibson is not just a treasure to play - its an investment. 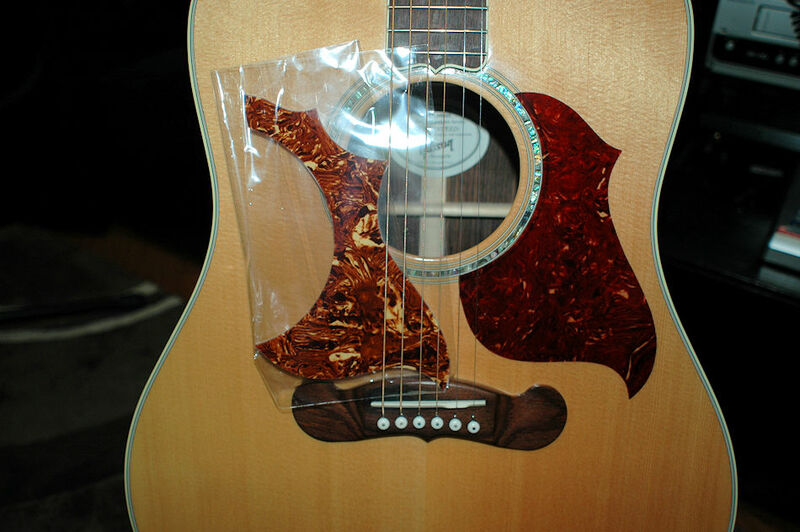 I ordered this replacement pick guard (left) online and it doesn't fit. 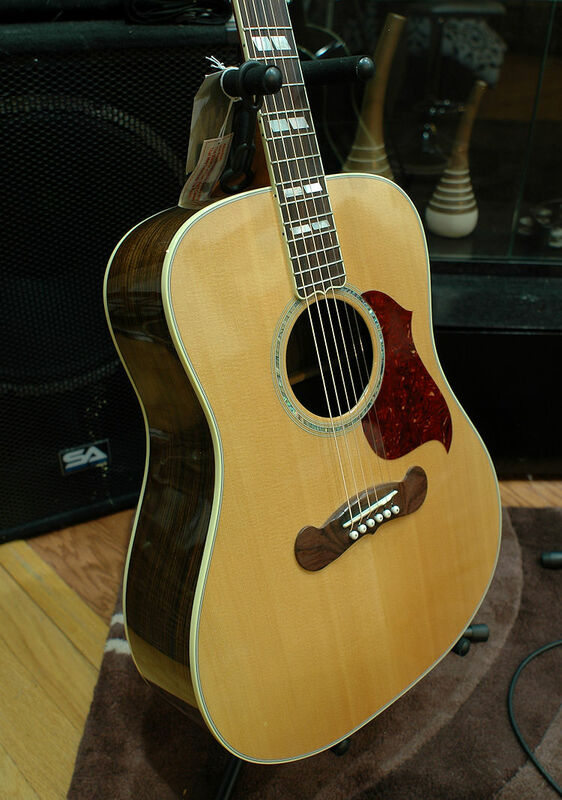 Notice the beautiful Gibson abalone inlay. I replaced the factory plastic pins with ivory pins with abalone spot.